The Westminster Collection (TWC), London’s venue marketing consortium, is delighted to welcome a selection of new venues and suppliers to membership. Accomplished event photographer Karolina Krasuska specialises in music, event and editorial photography and has over 10 years’ experience in the field, with established long-term relationships with clients that include Toni & Guy, Pernod Ricard UK and IFC. Renowned for her contemporary, edgy style and ability to capture the energy of an event, she has covered London Fashion Week for seven years and she also worked with TWC at its Destination Westminster venue showcase in October 2014, which was held at BAFTA 195 Piccadilly. Mobile bar specialist The Bar Bazaar provides high quality event bars, reception desks, food service stations and all manner of stylish event bar solutions to venues and clients including The Brit Awards, the V&A and Jimmy Choo. The bars are custom built offering bespoke finishes and layouts and they can be branded thanks to the company’s exceptional in-house production facilities. The Event Hire Company provides exclusive furniture, kitchen equipment and accessories for hire to both the private and public sectors and has experience of a wide variety of events, including corporate hospitality, weddings, exhibitions and conferences. The team is expert in providing a wealth of knowledge and seamless pre- to post-event service to a client portfolio that includes Team GB, The City of London, John Lewis, BBC and ITV. The Event Hire Company was also a supplier to Destination Westminster at BAFTA and enjoys established relationships with a number of venues within TWC membership. New to the collection’s portfolio of venues is St James Theatre, the first newly-built theatre complex in Central London in 30 years. Located just around the corner from Buckingham Palace, it plays host to cabaret, comedy, music and theatre with current shows including the critically acclaimed Bad Jews. The theatre is a perfect venue for product launches, private screenings and for more intimate creative workshops. It’s only a few minutes from Victoria station and boasts an intimate 312-seat theatre available for daytime events and a flexible 100-seat studio, a wonderful live entertainment space that lends itself to becoming a flexible and self-contained corporate events venue. The St. James Bar and Brasserie and the Carrara Restaurant offer a range of stylish, informal dining options. Another recent re-joiner of TWC, after a break from membership, is the award-winning QEII Centre, newly refurbished as part of a £12 million rebranding and renovation project. 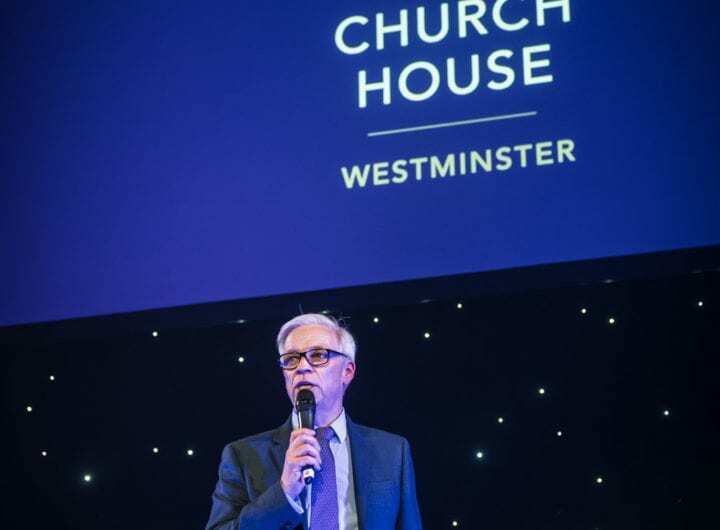 The iconic venue, which sits opposite Westminster Abbey, is boldly re-establishing its wow factor within the global events industry, now offering a more modern and stylish environment for the 400+ national and international events that are hosted there each year. It provides the ideal central London location for high profile conferences, conventions, exhibitions and corporate events with impressive capacity for up to 2,500 delegates. TWC will shortly look forward to the opportunity to promote its member venues to events professionals at International Confex in London on 18-19 February 2015. Sales and marketing representatives from more than 20 of its 41 venues will be present at TWC stand CF57 to meet and greet show visitors across the two days of the event, ready to talk event planners through the collection’s eclectic portfolio of central London venues. TWC’s 2015 events programme includes International Confex (18-19 Feb), Embassy Event Expo and The Meetings Show (7-9 July) together with its own annual venue showcase (Sept 2015) and a newly-revamped series of venue familiarisation trips for buyers. The first TWC fam trip of the year takes place at St James Theatre on Weds 25th February, 08:30-10:30am. Any event planner wishing to attend this exclusive event can email news@venues-london.co.uk to request a place.